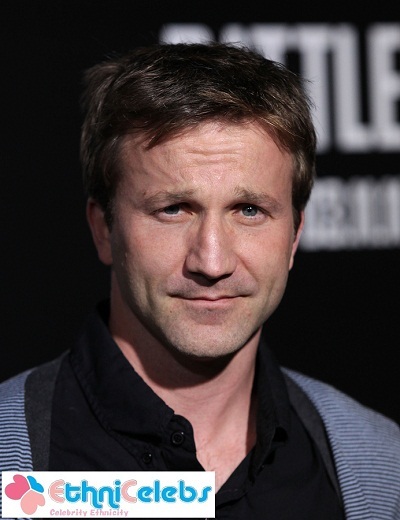 Breckin Meyer is an American actor, writer, producer, and drummer. He is the son of Dorothy Ann (Vial) and Christopher William Meyer. Breckin has two children with his former wife, screenwriter and director Deborah Kaplan. Breckin’s maternal grandfather is Horace Wilbur Rudolph Vial (the son of Frank Pollard Vial and Hilda Herbeter Rudolph). Horace was born in Virginia. Frank was the son of William R. Vail and Mildred J./L. Pollard. Hilda was the daughter of Horace W. Rudolph and Eliza W. Ship. Breckin’s maternal grandmother was Dorothy Annette Dodson (the daughter of Raymond Morel Dodson and Nellie/Nillie/Nelle/Nell Rachael/Rachel Smith). Dorothy was born in West Virginia. Raymond was the son of Elmer/Elmore Helsley Dodson and Lucy Belle Fetty. Nellie was the daughter of Jonas Smith and Liza Flanagan. Breckin is married to screenwriter and director Deborah Kaplan->Breckin has two children with his former wife, screenwriter and director Deborah Kaplan.